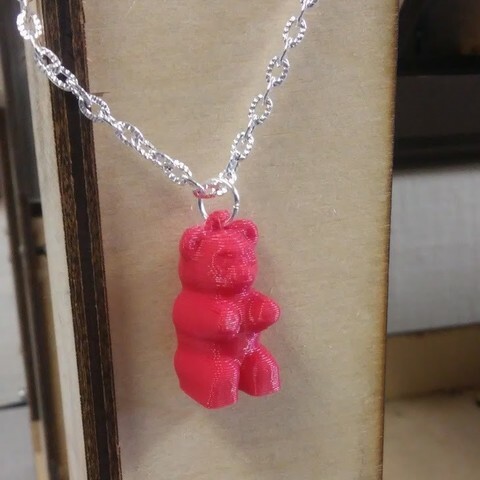 I like gummy bears and making necklace charms, so there you go. I noticed that the ring on the original model seemed a little small, so Version 2 has a larger ring. I'm not sure how either one will print yet, but I want to try them both out when I have time. Version 3 has the ring turned sideways to attach a jump ring or something to. I also made it a little thicker. 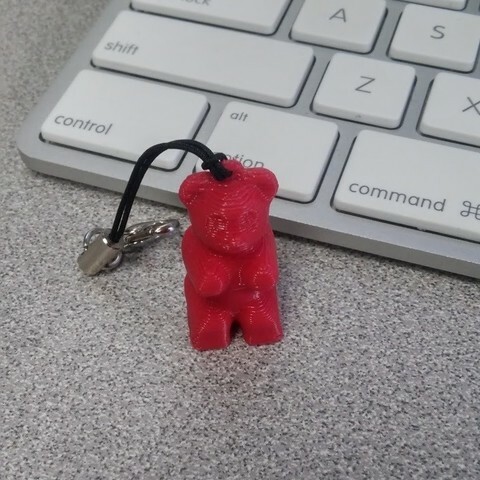 EDIT: We printed some of these for our Makers Market, and they worked great! We made them into necklaces, earrings, and keychains. 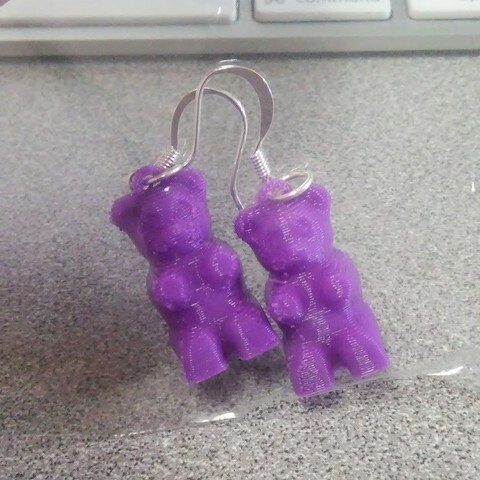 They're a little low-res, because we were short on time, but I think they worked great!